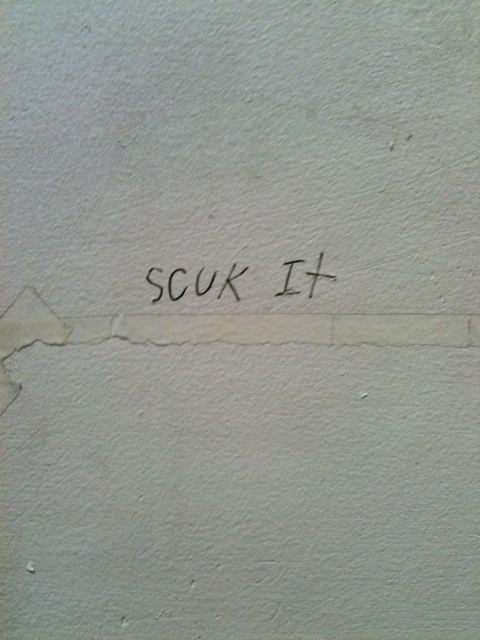 I’m assuming that the poor soul who wrote this was in a hurry so’s not to get busted for writing on the restroom wall. Maybe it’s very subtle viral marketing for FCUK? did a whole series like this. this is easily as good as his.